Established a relationship with the founders of Batch in Nashville and pitched an Alabama BBQ-branded box. 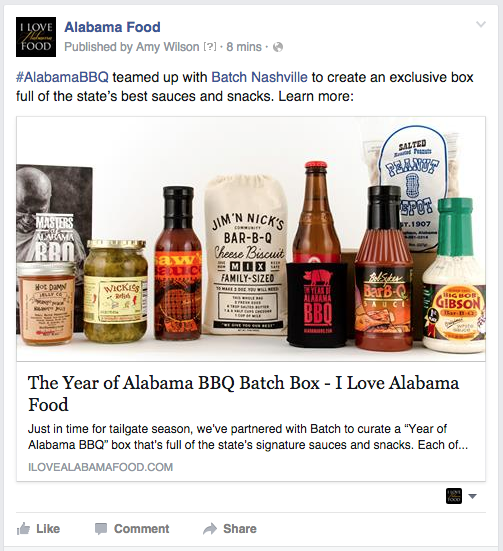 Worked with both the Batch team and my Alabama Tourism client to source products from around the state to fill a tailgate-themed box available for purchase beginning August 2015. Wrote promotional collateral to support the launch as well as continued sales.